When you fall in love, it’s as if you grow wings. Together, you can fly, and the world feels powerless. It is such an amazing feeling all you want to do is hold on to it forever…and then before you know it, doom! 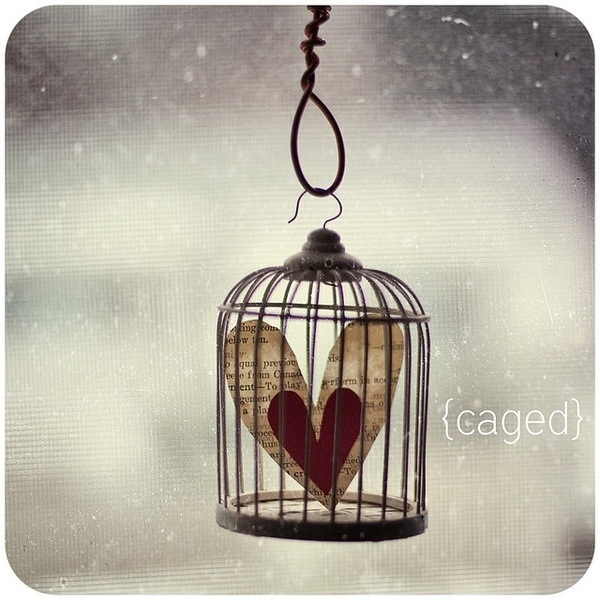 You’ve caged that love, and the relationship is going down fast! What went so wrong? Fear is perhaps always our downfall. It sparks, jealousy, mistrust, possessiveness, and stress. All you want is to love, but what you end up doing is locking it up, and sticking labels and marking your territory. However, this is only the beginning of your doom. Have you ever noticed how the heart grows fonder when you pull away? If there is love, this is a guarantee. Love is one of the most powerful bonds we know of, and it cannot be broken if you give it space to breath. You can suffocate it and make it hard to remember, but I do believe once you separate, you never really stop loving someone you fell in love with. Let go of the control, and focus on your life. You have control of what you do, and things withing your own life. Trying to manage your loved ones life, or monitoring their every step is bad for you, bad for them, and bad for love. Trust and Faith is the food that feeds love. Have your own identity, and give space for the other person to breathe. If you do all these things, and it still falls apart, then you are better off. There is a bigger love for you just waiting.